We display and stock picture lights in several styles, sizes and finishes. They can be direct-wired to an electrical box. 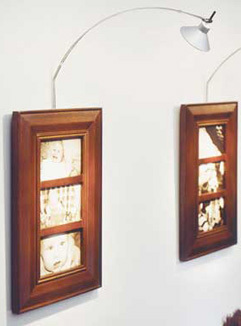 You can also plug them into an electrical wall outlet or a recessed clock receptacle behind a picture. Try one and see your pictures in a new light.